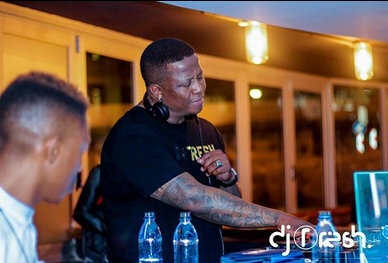 Popular South African DJ, DJ Freshsa has gotten new tatts of the faces of some African leaders. 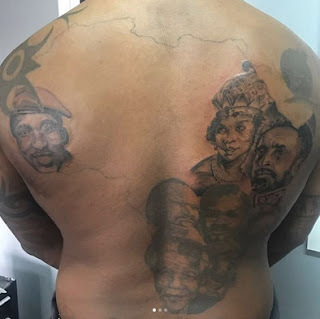 He had originally drawn the map of Africa and with faces of some African leaders. He increased the number of faces by adding some new faces to the mix. 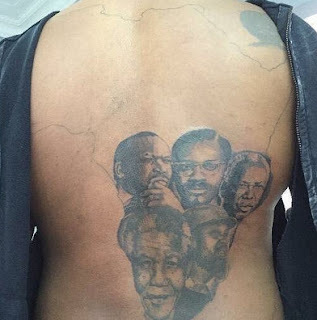 I spot Nelson Mandela and Martin Luther King. Do you guys recognize any new face?